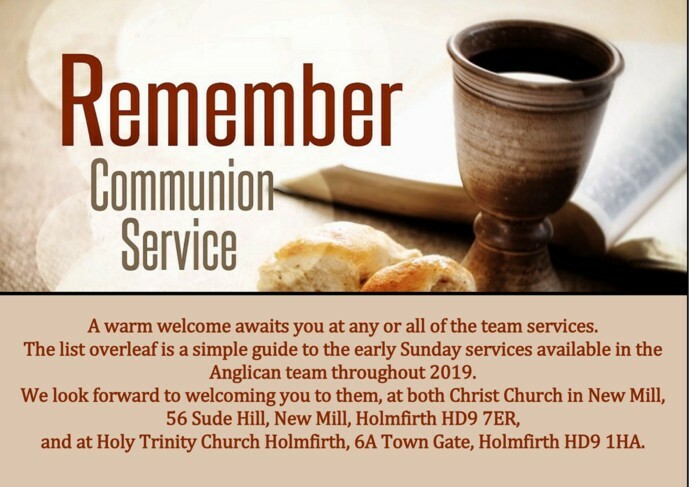 We are from the beginning of 2019 altering our pattern of early Sunday morning Communion services. This is in order to cater for the Team more efficiently. 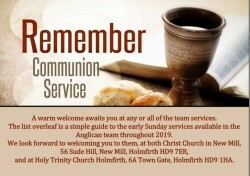 Basically, we retain the said service on the second Sunday of each month as previously, i.e. 8.30am. 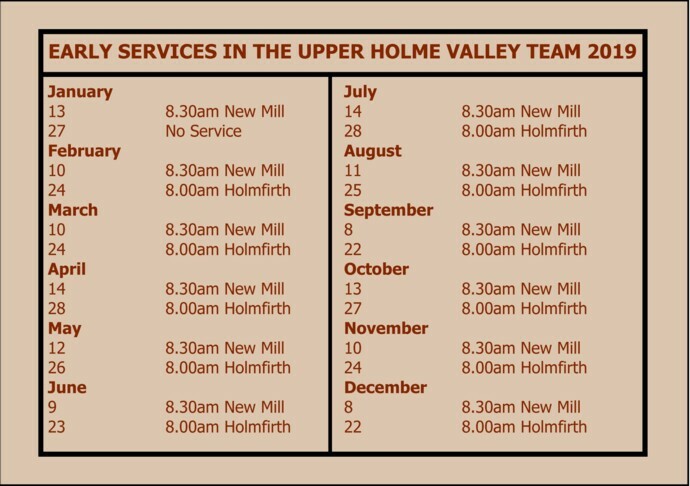 There will no longer be a service at 8.30 on the third Sunday of the month, but all are invited to join the congregation at Holmfirth Parish Church at 8.00am on the fourth Sunday of the month.